i am having problems to set my gear, what should i do? i have solved gear problem, really cool script man! However i have a little issue when i go back to clan wars, it afk and moves the mouse in inventory. thanks mate enjoying the script! make a fight caves bot PLEASEEEEE need that fire cape!!!!!! sweet look forward to it. Started tracking data for my scripts. 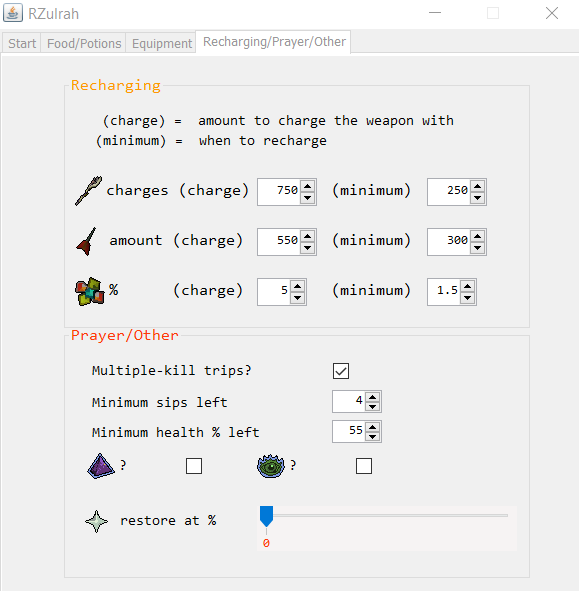 Beginning with RZulrah. Signatures have arrived! Get your own! Hello RZME I pass by here to say hello and value your work, thank you for being aware of creating the option "Only magic and hide behind the pillars" I think you would help many, greetings bro. Blessings for your day. Add ornate pool/house stuff please. I have an ornate pool in my house I can lend you my account if needed. Also can you make it so that it doesn't spend so much time idle? mine seems to waste hits just switching armors, maybe make it click back a bit more. Will add it before this weekend! Also removed screenshotting and replaced it by getting the pictures via a db so more efficient and smooth atm.